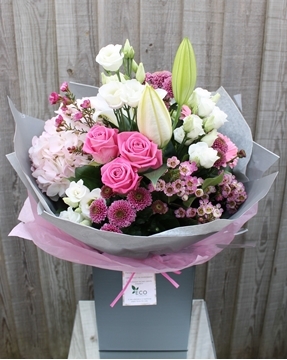 As one of our most popular gifts, this beautiful selection includes classic pink roses and fragrant Oriental lilies with pretty germinis and a sprinkling of gypsophila. 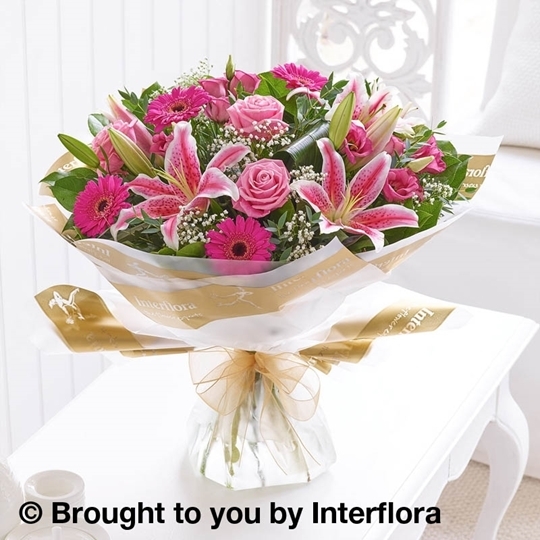 This chic and contemporary hand-tied bouquet is rich with texture and detail, and the lilies add a beautiful sweet scent. 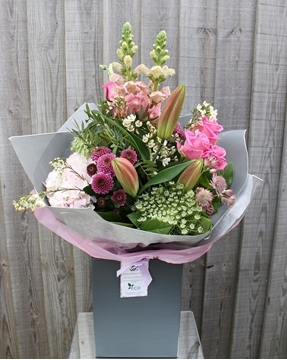 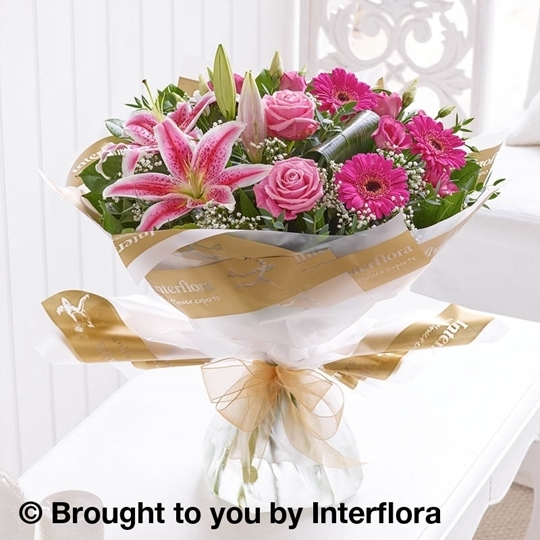 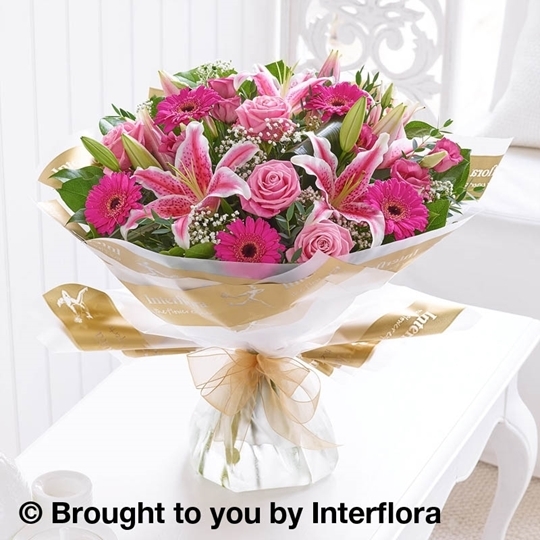 Featuring a pink Oriental lily, 2 pink large-headed roses, 3 cerise germinis and pink lisianthus, hand-tied with gypsophila, aspidistra leaves, eucalyptus and salal and finished with gift wrap and ribbon.